As we begin CROCUS 2013 with the theme migration and exploration, here are some of earlier posts that delve on the same topic. Do revisit these reviews and enjoy the books. 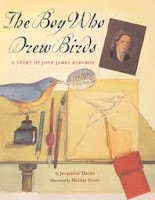 The Boy who drew birds talks about the John James Audobon and his love for birds. Audobon is known as the first person to tie a bird band, used commonly to study migration patterns of the birds. This book gives a peek into the life of this extraordinary man and his work on birds of America is considered as one of the finest works of an ornithologist. 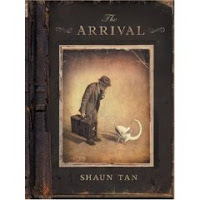 The book 'The Rabbits', illustrated by my favourite Shuan Tan (I cannot stop saying that again and again!). 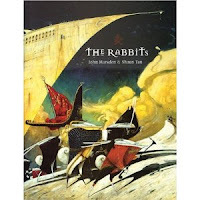 The Rabbits is one of his earlier books, much before his landmark and classic 'The Arrival'; but there are some interesting relationships between them. While The Arrival is about a person's long trudge to a new place and his trials at adjusting to a foreign environment; Rabbits is about a similar travel but with different agenda at heart - an agenda to impose their own will and power in the new environment. This is what our contributor Artnavy had to say about this book - "The book apart from being a hopeful tale of devoted friendship ( even long distance ones) helped me introduce concepts such as migration and ecosystem to Anushka. It comes at a time when we are moving places and hence is even more dear to us." 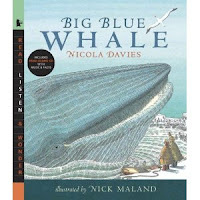 This book deals with migration patterns of whales. This is what our contributor Arundhati had to say about this wonderful book - "This is a great addition to any library and one that will be cherished for a long time. A lovely way to learn about migration patterns, breathing, birth, food and communication. I wish I'd had textbooks like these back in school!" This book is story of loss and sorrow, and spirit of survival and maintaining a way of life by Hmong people. 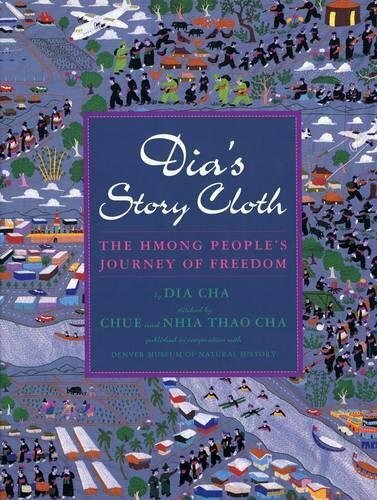 This is what our contributor Tharini says about this book - "Through the book, Dia tells us about they Hmong, and their way of life, when there was still peace. She tells us a little bit about her childhood and her chores. And how everything changed one day. " 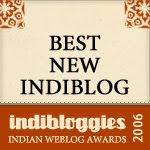 In this same review, Tharini also reviews another book called 'The Whispering Cloth". The Whispering Cloth is based on the life of a little girl that the author watched, while visiting a refugee camp in Thailand. It may not correspond to her young life in every inimitable detail, but it is the story of many of the Hmong people. This book has some exquisite paintings. I keep going back to this book just to look at those gorgeous illustrations. Here is what our contributor Choxbox has to say about this book - "The story touched a chord with me, all the more because I was in a country not my own. Though in no way facing any of the hardships Jessie did, I could relate to her emotions - immigrating to an unknown land is scary and exciting at the same time. Hope and hard work triumph and the new land eventually becomes Home." A very interesting book on exploration, adventure and travel using balloons. Here is what one of contributors Anu Kumar had to say about this book - "William Sherman had originally set off from his home town of San Francisco, intending to live a life of peace and contentment in a balloon that he had designed himself. And yet he was found in an ocean on the continent's other side and everyone including this reader soon becomes most agog to hear his story." 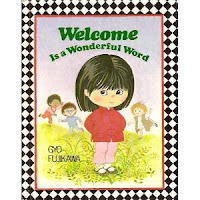 This is what our contributor Ranjani has to say about this book - "All of us, be it adults or children, approach any change in our lives with mixed feelings. Be it a school change, a locality change, a move to another country- each of these experiences bring with them the excitement as well as some amount of nervousness.The anxiety about, how the people would be and whether we would be able to become a part of the new group comfortably, is quite normal. 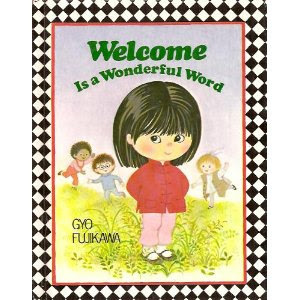 The author Gyo Fujikawa has taken this significant emotion and come up with a beautiful children's book. " How can we miss out Eve Bunting when we are talking about migration. 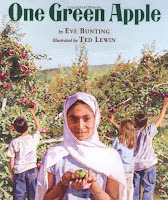 Here is what one of our top contributors Sheela has to say about this book - "One Green Apple is about little girl Farah, uprooted from her country by circumstances beyond her control and re-planted in a new country, gingerly taking her first step in her path to confident integration as an immigrant." And how can we forget inimitable Allen Say. Many of his books deal with migration and various emotions associated with it. In this book, Allen Say presents the conflict of the original home and the new home. Here is what Sheela has to say about this book - "Allen Say reveals the intense and poignant feelings of longing an immigrant heart brooks with its consuming affinity for the birthplace as well as the adopted homeland. Chronicling his grandfather's journey from Japan to America at the turn of the century, with breathtaking watercolor illustrations, Allen Say shares a beautiful dilemma in an elegant, compact, and moving way." 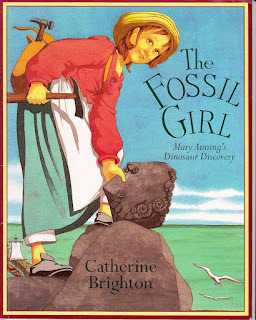 This book deals with Mary Anning, the explorer of dinosaurs. This book is about the famous lady of fossil hunting and exploration and how she became one of the most famous paleontologist without moving away from our home and surrounding places. One need not be a traveller to explore. One can explore in the back yard and still find something that is unique. This what our contributor Mad Momma had to say about this book - "Done in comic book style, Catherine Brighton gives bite sized information that children find easy to understand and retain. This was a great hit at our place given the obsession with all prehistoric life". What makes these people leave their home and come and stay in such inhospitable and unhygienic environment. What uncertainty drove them from their country? - Political climate, war, unknown type of violence and other unimaginable causes. Probably the only reason people migrate is hope!. A wordless picture book that has a lot to say and chronicles the migration of a man. 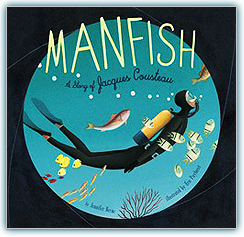 This is what our contributor Sheela had to say about this book - "This picture book biography of the world-famous Captain Jacques-Yves Cousteau is quite an homage to his indomitable spirit as a marine explorer and conservationist." A different kind of book on exploration as a wooden-man on a canoe is paddled along from the Nipigon country in Canada to the Great Lakes to the ocean. This is what our earlier contributor Meera Sriram had to say about the book - "Like these aren’t enough to get ourselves entangled with Paddle and his nail biting water adventures, the pictures on the right burst with color, in striking images of the sky, lakes, wilderness, woods, boats, birds and Paddle himself." 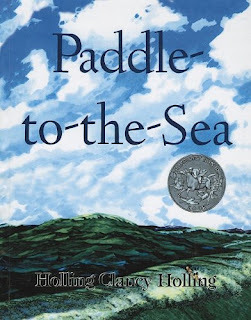 A lovely book that gives a wonderful introduction to young kids about great explorers and how they explored via Land, Water and Air. This is what our contributor Vibha Sharma had to say about this book - "The commendable aspect of this book is how the content is arranged and depicted through illustrations. Each adventure comes with the zoomed in map of the specific region from where the journey began, the detailed route that the explorer took, the various navigation tools used on the way, the different gears used and the kind of boats/ships/airships/gondolas/rockets that took them closer to their dreams." 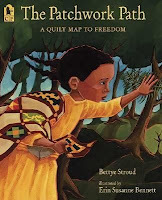 A great book on how the patch work on quilts helped many slaves run to US Canada border for freedom. 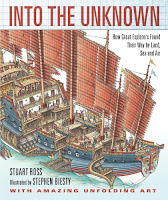 Here is a book that talks about unconventional and innovative ways that suppressed people find ways to move to another place and towards freedom. This is what our contributor Sandhya had to say about this book - "According to the afterword, the story about the use of quilt codes was given to was told to historian Jaqueline Tobin by an African American quilter Ozella Williams and together with another scholar Dr. Raymond Dobard, they published the first account of this amazing system that had originated in Africa, and was extensively used by slaves to run away to the US Canada border and freedom." 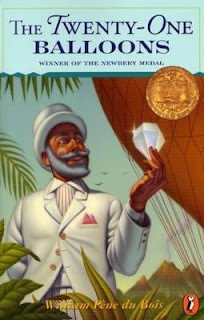 There are many more books that deal with the theme of Exploration and Migration. Hope you enjoy going back through these old posts.